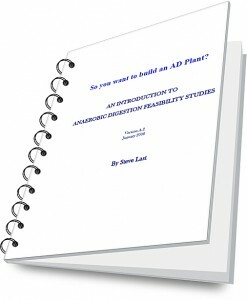 So You Want to Build an AD Plant? 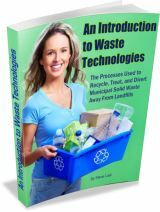 This was our first product, but despite it being older than most ebooks you will see offered on the web, it still remains current, and is great value for such specialized information. It remains as a unique starting point for anyone who wants to understand what will need to be done in order to assess the feasibility of their biogas project. WHERE DO I START TO FIND OUT WHETHER OPPORTUNITIES EXIST IN MY COMPANY AND AREA? This is an essential read for all those taking their first steps to plan an Anaerobic Digestion facility. 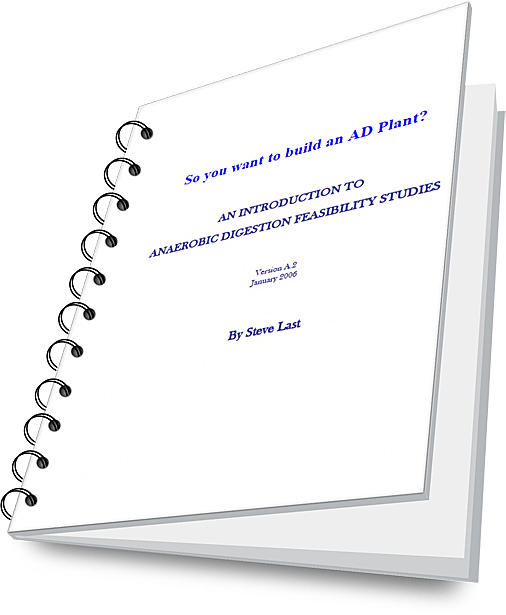 Read this and make sure that you avoid the BIG mistake that many new to projects like this make when starting their Anaerobic Digestion Feasibility Studies. It will be updated soon, however, when we do update it we will have to raise the price to cover our investment. Get it now if you want to avoid the price rise! Well-written all round. Thanks, we want more! Added to FeedBurner as well. An interesting dialogue on this and it is worth a comment. I think that it’s best to write more on this topic, it will assist the biogas users. Thanks! put in penning this site. Nobody else is providing the much needed pdf for this subject.